As a big neuroscience fan myself, I'm so excited to have Maree Kimberley posting today about how (being a medical nerd like myself) she used her research into neuroscience to help create her characters. How has your week been? Things are getting very exciting around the Redwood household, anxiously anticipating author copies of my debut medical thriller, Proof! When. Is. That. Box. Coming!! For you this week there are great posts and one contest! Monday: Maree Kimberly guest blogs on how neuroscience helps create characters. Very interesting stuff. Wednesday: Historical author Lacy Williams blogs about historical treatment of epilepsy. She's also giving away an e-book and hard copy (two books!) for those that leave comments. Also, Lacy is running a fabulous Mega May Birthday Bash where she will be giving away lots of free stuff from fellow authors. Personally, I am giving away the first two chapters of my debut medical thriller, Proof, as well as a chance to win a physical copy so be sure to sign up! Friday: Heidi Creston, OB/RN (how I've missed her!) is back to talk about an obstetrical emergency that could wreck havoc for any delivery scene: a prolapsed umbilical cord. If you ever write a scuba diver character, a deep sea diver, a search/rescue/recovery diver, a Navy submariner, etc., you’ll need to understand Decompression Illness (DCI), a serious illness caused by trapped nitrogen. SCUBA (Self-Contained-Underwater-Breathing-Apparatus) divers breathe a purified air mixture of 79% nitrogen and 21% oxygen. The longer a diver is breathing this mixture and the deeper he/she descends, the more nitrogen will be absorbed by the body. A slow ascent and a safety stop at about thirty feet for three minutes, allows the diver to efficiently exhale the nitrogen. Dive tables set limits for dive times and depths. Decompression Illness is caused by tiny nitrogen bubbles forming (instead of being exhaled) and becoming trapped in the blood and tissues. 1) Skin capillaries fill with the nitrogen bubbles, resulting in a red rash. 1) Neurological decompression sickness: Tingling, numbness, respiratory problems and unconsciousness. 2) Pulmonary: Bubbles interrupt blood flow to the lungs, causing respiratory distress or arrest. 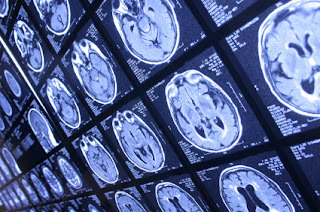 3) Cerebral: Bubbles travel to arterial blood stream and enter the brain, causing arterial gas embolism and symptoms of blurred vision, headache, confusion, unconsciousness. Extreme fatigue, joint and limb pain, tingling, numbness, red rash, respiratory and cardiac issues, dizziness, blurred vision, headache, pain with swallowing, confusion, loss of consciousness, ringing in ears, vertigo, nausea, AMS (altered mental status), pain squeeze, SOB (shortness of breath), chest pain, hoarseness, neck fullness, cough. 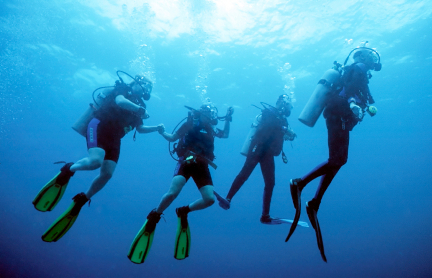 Factors that increase the risk of getting decompression illness: Dehydration prior to dive, stressful dive or rapid movements during dive, alcohol intake prior to diving, flying too soon prior or post diving, not following dive tables. As every patient is different, every diver will have their unique combination of symptoms and reaction to both the illness itself and the treatment. Decompression illness is treated by hyperbaric recompression chamber therapy. Only certain hospitals in the word have a hyperbaric chamber. The severity of the patient’s condition and his/her symptoms will decide the length of time the patient is treated inside the chamber. Nitrogen narcosis is also caused by trapped nitrogen, but this is a simple fix and isn’t serious if resolved. The diver simply ascends to a shallower depth until his/her symptoms clear. Symptoms include: An altered state of awareness and gives the diver an intoxicated state of feeling, incoherent reasoning and confusion. As always, thank you for reading and for your interest. Please do not hesitate to ask if you have any questions. Trying to capture the emotional heartbreak of a diagnosis and simultaneously making sure specific medical information is correct was a big hurdle for me while writing My Emily. I wanted this book to be a quick read, but one that could leave a lasting message or lesson. Someone could sit down for an hour – give or take a few minutes – and perhaps walk away being touched in some small way. My intention was to have the reader feel I was sitting right across from them telling our story. It was my hope when I started writing this book that I could share the feelings and heartache one experiences when hearing that your little one is born with Down syndrome or later diagnosed with leukemia. I wanted to put readers in the hospital room with us – to wonder what my emotions and thoughts were when hearing this gut-wrenching news. Although there are some intense moments in My Emily, I also did my best to infuse humor. I’m told I can be quite humorous and I tried my best communicating this sense of humor, whether it was in particular moments or just how I talk. Again, I wrote this book with the premise of me and the reader sitting down at a coffee shop and talking. I wanted readers to have a hunch as to who Matt Patterson is as a husband, father and regular guy. In addition, I wanted to make sure my medical information was correct, but simple. When one begins to use words like chromosomes and genetics, I didn’t want to lose readers. I didn’t want them to have to read paragraphs three or four times to understand what I was trying to say. He walked into the room and closed the door. As he set down his clipboard, he also pulled the ceiling curtain around the bed – even though we were the only ones in the room. I began to think, This can’t be good. After taking a very deep breath, our physician told us that Emily was born with Down syndrome – a genetic, chromosomal disorder. To be honest, I didn’t even know what Down syndrome was. I couldn’t breathe. I truly couldn’t breathe. It was as if the world went quiet. I heard nothing. We did everything right, I said to myself. This just doesn’t happen – not to us, anyway. It’s not real. It’s a dream – a really bad dream – right? I was of the opinion that this was just a horrible mistake. Chromosome 21? I asked myself. Chromosomes are numbered? Copies of a chromosome? Pure chance? Return for Part II on Wednesday. Congratulations Loree H. who won the e-book version of Sherri Wilson Johnson's To Dance Once More! Loree-- just need you to e-mail me @jredwood1@gmail.com so we can get your prize to you. Monday and Wednesday: Author Matt Patterson blogs about writing through personal heartbreak. Friday: Dianna Benson stops by to talk about decompression illness. Oh so important for those scuba scenes. Ever remember hearing the terms plague, cholera, and perhaps yellow fever? I'm pleased to host Sherri Johnson Wilson today as she discusses her research into yellow fever for her latest release To Dance Once More. Sherri is giving away an e-book! So, please leave a comment and we'll draw the lucky winner Saturday, April 21st at midnight. Winner announced Sunday, April 22nd! In my Victorian-era novel, To Dance Once More, Lydia Barrington narrowly escapes contracting Yellow Fever while on a visit with relatives in Pensacola, Florida in 1890. "Yellow Jack" as it was called was deadly and most doctors were not quick to declare that the epidemic had come to their towns. Such an announcement could cause widespread panic and a mass exodus of people that could, therefore, infect the rest of the country. An outbreak in 1874 in Pensacola caused over 350 deaths. At that time, there were only 1,400 residents! Another epidemic in 1877 struck 1,500 out of 1,600 residents of Fernandina! Imagine everyone in your town being stricken with a disease with only 100 people left to take care of them. There are three stages of Yellow Fever and the symptoms vary according to the severity of the disease. The symptoms are: fever (of course), bloody nose, a slow heartbeat, vomiting, neck and back pain, jaundice from hepatitis (hence the term ‘yellow”), organ failure, or even death. The treatment is the same as for many other viruses: rest, fluids, and acetaminophen for the fever and aches. Hospitalization may be required. Fever is the first sign of the disease and in early America, fever WAS a disease. It was equivalent to being diagnosed with cancer today. We often think of a fever as the body’s way of fighting infection. It is. However, we now have medication available to reduce fevers. Historically, short of packing someone in ice and watching them around the clock, there was no other way to reduce a fever. Indeed, the sign of a fever back in the 1800s and before would have been a tragic thing. We traded with the West Indes and it seemed that many of the ships returning from there had outbreaks. Doctors tried to prevent Yellow Fever or at least isolate it with quarantine, fumigation, and sanitation. When ships came in from ports outside of America, they were quarantined for a week or more before allowing any passengers or soldiers to disembark. Many lives were lost because of Yellow Fever—many sons who had gone off to conquer the world and discover new things never returned. Eventually, doctors discovered that Yellow Fever was transmitted to humans through the bite of infected mosquitoes. Since the tropics had more mosquitoes than the Americas and people returning from there were sick, it began to make sense that this was not a human-to-human problem but a mosquito-to-human issue. The slaves from the West Indes were not infected with the disease yet tourists to Florida and other coastal regions were. It later became known that once contracted, you were immune and that was why slaves did not fall ill yet newly exposed people did. Most mosquitoes live outside in stagnant water and swampy, marshy areas. After one night of camping in the middle of August in Panama City Beach, Florida, after a destructive hurricane had come through, I awoke covered with over 100 bites on my body. The area we camped in had stagnant water puddles everywhere. I was miserable and felt sickly for days. I cannot fathom what one must feel like with Yellow Fever. Today, it is known that a specific mosquito carries the Yellow Fever virus—the Aedes aegypti. It likes urban areas and breeds in clean standing water, which was often found in cisterns inside homes before the invention of indoor plumbing. It was like there was a big welcome sign above the door inviting the pests in to raise their families alongside the homeowners. The Aedes aegypti survived the mild winters of the coastal regions and as the population of America grew, they found plenty of tasty people to bite, which allowed Yellow Fever to spread. Once doctors discovered Yellow Fever’s cause, it was finally brought under control by quarantine and fumigation around the turn of the century. After an outbreak in 1905, the swamps around Pensacola were drained and Yellow Fever and other mosquito-borne illnesses, such as malaria, no longer plagued the area. We still must be careful, however. Although the cause of Yellow Fever was discovered, the mosquito still exists. Since there is no cure for this illness, prevention is the key. We must all watch for stagnant water outside and also breeding grounds inside, such as standing water in the trays of our inside plants. Here are some interesting links to learn more about Yellow Fever. 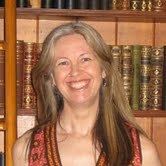 Sherri Wilson Johnson is the author of To Dance Once More and Song of the Meadowlark. She is from Georgia, has been married since 1988, and is a former homeschooling mom. She loves to write, read, eat ice cream, ride roller coasters and make people laugh. She loves Jesus and hopes to spread His love to the whole world through her writing. What's the line between real life and fictional life and how do you realistically incorporate the two? This is a great post by Heather Gilbert who discusses her research into some well known Viking behavior and whether or not mushrooms were responsible for it. When I started writing my Viking historical novel, I knew there would be battle scenes. After all, they’re Vikings, right? And I knew I had a salty old sailor who was left behind to guard the camp, for mysterious reasons. He had a hidden talent, but what? Yes, I knew my guy was a berserker. But should I buy into the theory that berserkers were “doing ‘shrooms,” or eating poisonous mushrooms, precipitating their inexplicable behavior? Being a writer, I decided to choose the most illustrious reason for my guy’s strength—he ate some mushrooms that gave him super-powered strength (for a little while). 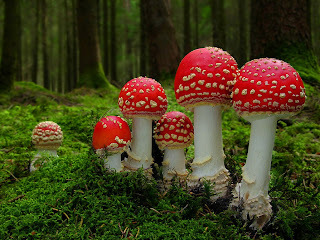 Then I had to read up on Amanita Muscaria—where does it grow? Would he have access to it, both in Greenland and at his camp, in upper North America? Wikipedia states that the mushrooms have been located in Sweden and Germany. Finnish Sami have reportedly used it. That was close enough to Greenland for me. Trade was vigorous at this time, so even if it wasn’t native to Greenland, it could be obtained. Further, a type of this mushroom grows in Newfoundland, the setting of the camp. Since the mushrooms vary in color (red with white spots, yellowish with white spots), I knew the mushrooms might look different on different continents. But they could be found. Even though Wikipedia states that the mushroom berserker theory might be “urban legend, or at best speculation that cannot be proven,” I decided to go with it. It worked for my story, and many things haven’t yet been proven about the Vikings (but time works wonders that way). Could the Viking berserkers have been possessed? Sure. But given the documented hallucinogenic effects of the shrooms, compounded with the fact that Lithuanians, Sami and various other cultures used them, I figured Amanita Muscaria would add that special touch to my story. I discussed all my mushroom theories with my dad, a family practice physician, before locking them into my novel. It was important not to let my imagination outweigh reality. Luckily, he thought it was a believable explanation. So sometimes Wikipedia can answer those pressing historical fiction questions in a hurry. Just be sure the sources back up the information you glean. What about you? What do you think was going on with those berserkers? Do you use Wikipedia often? 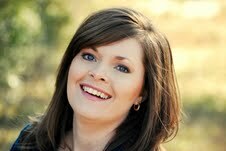 Heather Day Gilbert enjoys writing stories about authentic, believable marriages. Fifteen years of marriage to her sweet Yankee husband have given her some perspective, as well as eight years spent homeschooling her three children. Her historical fiction novel, God’s Daughter, is rooted in the Icelandic sagas. It tells the story of Gudrid Thorbjarnardottir, the first European woman to have a baby on North American soil. You can find out more at Heather’s blogspot: http://www.heatherdaygilbert.blogspot.com, or at her FB page: http://www.facebook.com/pages/Heather-Day-Gilbert/255797467834948. She’d also love to chat on twitter @vikingwritergal. Author Jillian Kent stops by today for a little medical assistant with a question for all of you. What do you know about poultices? is that the instructor uses the mortar and pestle that was used during the Regency but the types and styles are many and although I have no idea when the first mortar and pestle came into use I’m thinking possibly Egyptian times. Anyone know? I used what knowledge I gained in Chameleon, book two of The Ravensmoore Chronicles and now I’m researching more material for book three which I have to turn in on June first so I’m just a little nervous. It’ll all come together. If you are an expert on the making of a poultice during the Regency era, please jump in here and help me out. I’m especially fond of learning how to make a poultice for wounds, something that will help with infection yet not burn or irritate the skin. Now, I’m also intrigued with alternative medicine, acupressure, acupuncture, herbs, etc. but I better save that for another time. So if you’ve ever used a poultice I want to know. If you’ve put the use of a poultice in your books please share and if you actually know a bit about using the poultice during the Regency please jump in and share your knowledge. I’m wondering what type of cloth they would have used and how they got the poultice to remain in place. Thanks Jordyn for letting me visit. I love it here. So glad to see you here, particularly after all the internet changes I've made over the last several weeks. My new website has launched under www.jordynredwood.com. The blog is now incorporated under this umbrella and you can find it on the tab bar under Medical Edge Blog. 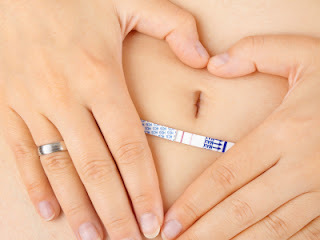 If you want to go directly to the blog, you can find it at www.redwoodsmedicaledge.com. So, update your bookmark. However, there is lots of fun stuff on the website. Free resources and an additional blog called Redwood's Ramblings which is more about the writing life. Monday: Author Jillian Kent stops by for a little help. She's looking for info on poultice making so if you're an expert, stop by and give her a helping hand. Wednesday: Heather Gilbert talks about her historical research into mushrooms and if it is why Vikings may have been a little on edge. Friday: Author Sherri Johnson talks about yellow fever. We think these illnesses are gone but you can view this article to see how yellow fever still plays a big part in certain areas of the world: http://www.ukzambians.co.uk/home/2012/04/15/yellow-fever-blow-to-tourism/. Sherri is also giving away a free copy of her novel as an e-book so be sure to leave a comment. 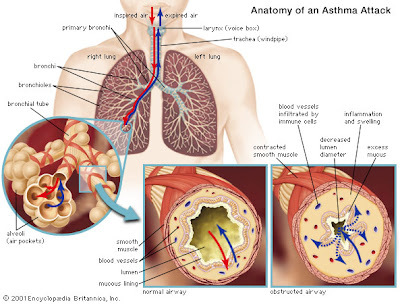 Last post, we discussed generally the disease of asthma. Today, I'm going to focus on emergency treatment. The three major problems with asthma are the airway constriction, the inflammation and the mucous production. Therapy is targeted at reversing these issues. 1. Connect the patient to the monitor, determine baseline oxygen level. Normal oxygen saturation is 90-100%. Anything less than 90% is considered hypoxic. If the patient's oxygen saturation level is less than 90% then they should be placed on oxygen. Now, there are some caveats to this but for your novel, this should suffice. 2. Give breathing treatments. Generally, Albuterol and Atrovent are given together in three back to back nebulizer treatments. This is a medication that is inhaled. Both act to relax the tightened muscles around the airways to ease breathing. 3. Give steroids. This targets the inflammatory response. Most often these are given orally in the form of a syrup (for the little ones) or pills if the patient can swallow. If unable to swallow, then it is given IV. 4. Keep the patient hydrated. This will help clear mucous. The thinner mucous is, the easier it is to cough up. That's basic treatment. Now, if the patient doesn't improve with the above treatment then we will go further. 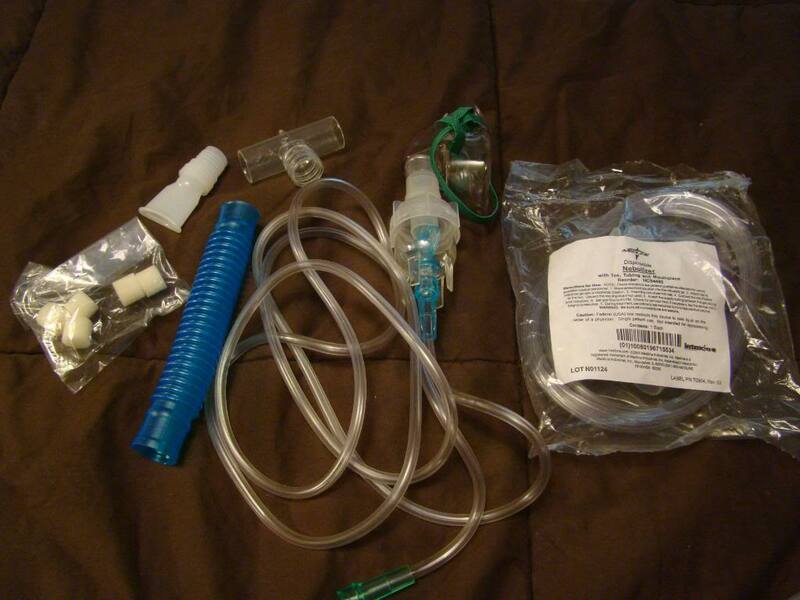 Often times, we will place them on a continuous Albuterol nebulizer. There are also medications that can be given intravenously (IV) to relax the smooth muscle of the airways as well. Remember, Albuterol is a stimulant. It will be normal for the patient's heart rate to be elevated and for them to feel quite jittery. These are expected side effects of the medication and it is helpful to explain this to the family. Asthma pearl: Doctors try very hard not to place an asthma patient on a breathing machine and it is generally considered a last resort to keep the patient from dying. This is a different viewpoint in treating a lot of different medical conditions because generally early intubation is preferred to stabilize the patient. In respect to asthma, the endotracheal tube (ETT-- the thing they stick in your throat) aggravates everything we are trying to reverse. The ETT can cause bronchospasm and increased secretions. Remember, the problem is air trapping. When a patient is on a ventilator-- breaths are pushed into the patient via the machine (positive pressure ventilation). This can lead to more air being trapped in the lungs which puts the patient at risk for pneumothorax (which is when the lung get a hole in it and deflates). These patients are ususally medically paralyzed and sedated so their breathing can be totally controlled by the machine. Have you written an ER scene with an asthmatic in distress presenting as a patient? Recently, I did an overview of diabetes. Here are the links to Part I and Part II. As authors, I think it's good to have a general understanding of the major illnesses so you have a background of whether or not you'd like to afflict your character with it. Asthma AKA reactive airway disease. Generally, when we think about respiratory disorders, we divide them between the upper and lower part of the respiratory system. The division between the two is generally your larynx or voice box. Upper airway disorders are things such as croup, foreign body, and epiglotitis. Disorders of the lower airway are asthma, bronchiolitis and pneumonia. There are several things happening in the lowers airways during an asthma attack. There is constriction of the airway as well as inflammation and increased mucous production. It's easier for air to get in than to get out. Symptoms of asthma can include some or all of the following: Difficulty breathing, wheezing, coughing, low oxygen levels, air hunger, tripod positioning, and pale or blue lips. In pediatrics, there is reluctance to diagnose asthma under the age of three years. So, even if a child presents with multiple episodes of wheezing, they are likely to be diagnosed as having "reactive airway disease" until they are older and their clinical picture becomes more clear. The other thing to keep in mind is that all wheezing is not asthma. An upper airway issue can lead to wheezing in the chest. These sounds are deferred. Think a balloon that is stretched to the point where it squeaks as air passes through the tight opening. This can happen in the lungs as well if the larger upper airways are having a problem. Sometimes, an infection in the lungs (either viral or bacterial) can also lead to wheezing and we will target this wheezing with asthma like therapies. It doesn't mean the person will end up with asthma. It is possible it was just a symptom related to their illness. However, if the patient develops a picture of wheezing consistently with every viral illness-- then an asthma diagnosis becomes more probable as viral illnesses can be a trigger for the disease. Next post: Emergency Treatment of Asthma. Do you have a character that suffers from asthma in your ms? I was happily researching my latest book when it caused a funny thing to happen in the Redwood household. I'm watching TV when my husband sits down and asks, "Honey, is there something we need to discuss?" "I found something on your computer." Okay, let me say if my husband ever turns up suspiciously dead, all eyes will be on me. Not because I would ever desire to harm my husband but I am a nurse, have access to drugs, and let's say my Internet research as a writer can be dicey. Best way to poison someone. A medical blog devoted to helping writers maim their characters. I'm sure it would make for a very interesting police interview. "Oh that... it's just research honey. Don't worry." That got me thinking. Some may not know these tools exist. In my case, I was determining a married couples timeline but I had to back date the events a couple of years. How could I determine when my main character had conceived in 2010? That's when I found this nifty little tool that caused my dear husband some needless anxiety. And he is always the one who says not to worry. Guess that only counts if it's not another child on the way! Congratulations to the following winners of my debut novel Proof! All right you two crazy kids! E-mail me at jredwood1@gmail.com with your address and you'll receive those sometime in June. This week, I hope to be accomplishing the launch of my new website. Redwood's Medical Edge will be incorporated into that and as always, there have been a few hiccups along the way. Hopefully, these will be ironed out this week. I may suspend posting until these issues are resolved. I want to be sure each guest blogger gets their full exposure. Today, Peter Golden concludes his discussion on some of the medical aspects of his new fiction novel, Comeback Love. In Comeback Love, Gordon meets Glenna when a newspaper editor asks him to write a piece about an organization of medical students at Columbia University’s College of Physicians and Surgeons who are involved in the lobbying effort to persuade the New York State Legislature to pass a bill legalizing abortion. The medical students, Glenna among them, are spending their time cataloguing the disasters that befall women who seek illegal abortions, and they are scheduled to present their findings at a public hearing in Albany. Now, I made that part up—about the med students—but the battle over abortion in New York State was a matter of public record, and the controversy surrounding it was covered in detail by the newspapers. Thus, the first part of my research was easy: I simply read the old articles and spoke to a few physicians who knew something about abortion before and after its legalization. Yet the research that proved to be most valuable went back to an article I’d written for a magazine over 20 years ago. In the 1980s, like now, abortion was highly controversial, and the argument, in the political arena, was an ugly one, filled with charges and countercharges. So I got an idea for a story and pitched it to a woman editing one of the magazines I wrote for. Suppose, I said, I did a piece about two women who had had abortions, but now disagreed about the issue. Instead of talking politics, we’d talk about their feelings and how they came to their conclusions. The editor liked my pitch, and I found two women willing to be interviewed. I liked both of them immensely: they were open and eloquent about their feelings; their stories were compelling; and neither view was elevated over the other. When the story was published, it received more mail from readers than any other story I’d ever written—and this was back before e-mail, when readers actually had to sit down and write a letter. What made the response so interesting to me was that half of the mail accused me of overtly opposing abortion, while the other half accused me of overtly being in favor of it. The experience taught me a lesson that I kept in mind while writing Comeback Love. That regardless of how one feels abortion, those feelings are intricately threaded through the self, which I believe is crucial information to have when creating fictional characters. Peter Golden is an award-winning journalist and author. Golden’s Quiet Diplomat, a biography of industrialist and political-insider Max M. Fisher made the Detroit Free Press bestseller list. Among those he interviewed were Presidents Nixon, Ford, Reagan, and Bush; Secretaries of State Kissinger, Haig, and Shultz; and Israeli Prime Ministers Shamir, Peres, and Rabin. Golden’s O Powerful Western Star, a history of the Cold War, will be published in the spring of 2012. For that book, Golden interviewed Mikhail Gorbachev. 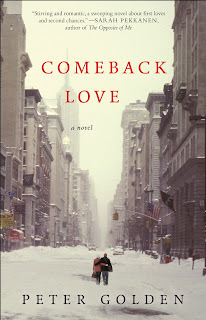 His debut novel, Comeback Love, will be published by Atria Books on April 3, 2012. 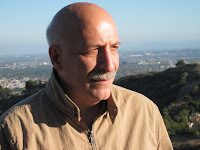 I'm so honored to be hosting award winning author and journalist Peter Golden as he blogs about the research aspects of his new novel Comback Love. I find the subject matter of this book fascinating-- the tumultuous 60s and a young woman in medical school. As Peter discusses, it's far different than what female medical students face these days. Mark Twain observed that there are “liars, damn liars, and statistics,” and while Twain is one of my favorite writers, sometimes it helps to believe in numbers. Perhaps that’s just the historian in me, since I also write history, but statistics—one in particular, that is—certainly came in handy when I was writing my first novel, Comeback Love. To understand the number—which happens to be 5.8 percent—you have to know a little about the novel, which shifts between the past and present. It begins with Gordon Meyers, who decides to track down Glenna Rising, a woman he loved and lost 35 years ago. When Gordon and Glenna first meet in the 1960s, he is an aspiring writer and she is a medical student. Their relationships unfolds against the backdrop of the Vietnam War and the Women’s Movement—only to crash and burn when the outside world gets in the way. Now, years later, Gordon has an overwhelming desire to see Glenna again. Though she’s stunned when Gordon walks into her Manhattan office, Glenna agrees to accompany him for a drink. As they walk through the snow-swept city, we learn about the passions that drew them together before tearing them apart. Finally, as the evening unfolds, Gordon revels the true reason for his return, and both he and Glenna are wondering—where do we go from here? By the time I sat down to write Comeback Love, I was up to my neck in numbers, because for several years I had been researching and writing a history of the Cold War. And one question kept nagging me. What was the greatest change that occurred in the United States during these years? Which leads me to the 5.8 percent. That was the percentage of women in medical schools in the early 1960s. (Today, the percentage has climbed to approximately 50 percent.) I wanted to look at a woman from that bygone era, and explore how the changes impacting her also impacted the man she loved. That was the beginning of Gordon and Glenna. For research, I had notes that I had made during the 1970s when I worked in a hospital. I had met a number of med students, men and women, and I’d heard plenty of stories, many of which I had the good sense to write down. One of the most revealing was of a male attending physician talking to a group of med students, only one of whom was a woman, and at one point the attending turned to the young woman and asked if she would bring him some coffee. Of course, to examine the changes in women’s roles during the 1960s and 1970s, I could’ve looked at a variety of professions, but none offered easy access to an issue that remains as controversial today as it was then: abortion. Peter returns Friday for Part II. Today, I'm doing a special post. What's the point of having your own blog if you can't do a little shameless self promotion from time to time? Here is the official cover for my debut novel, Proof, set to release June 1, 2012. It is available for pre-order. You can "like" it on Amazon for me. Proof deals with the real life possibility of DNA testing setting a guilty criminal free. "Jordyn Redwood may be new on the scene, but she writes like a seasoned pro. 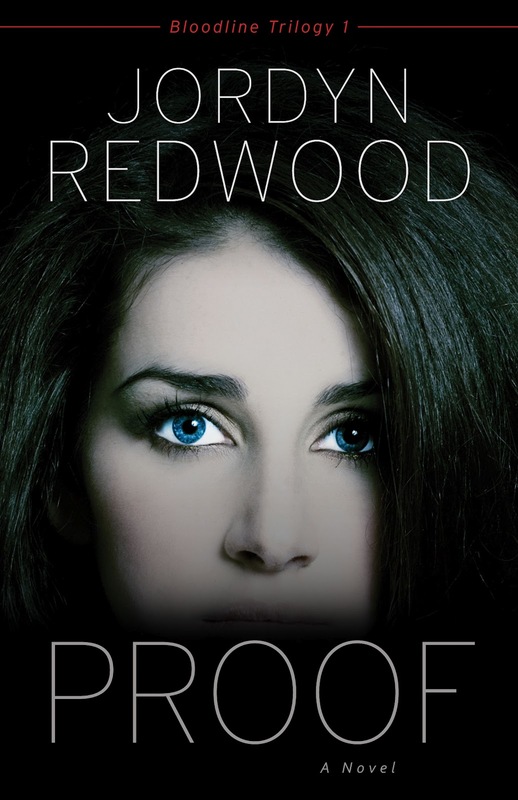 Proof is one of the best books I've read in a long time with well-drawn characters, a villain I despised and a hero and heroine I rooted for. I thought I would just take a peek at the first chapter and finish the story later. I thought wrong. I read late into the night, lost sleep and put off my own writing to finish this book. I'm eagerly awaiting the second book by Jordyn and will be the first in line to purchase it the day it releases." Lynette Eason, author of When the Smoke Clears. "Jordyn Redwood's debut novel is a page-turning medical thriller with an ingenious premise and solid Christian values. A satisfying read." Frank J. Edwards, author of Final Mercy. It's been an amazing journey and there is still a lot to be done. If you want to read more about the author's process in designing a book cover, you can read my post at the WordServe Water Cooler. Plus! If you leave a comment here and over there-- you'll be entered for a chance to win my debut novel. Drawing will be midnight, Saturday, April 7th. Winner announced here Sunday, April 8th. As some of you may or may not know, today is an ever important day. I've launched my new website as well! You'll notice that there is a change and that www.jordynredwood.com does now bring you to the website. Do not worry-- Redwood's Medical Edge will still be ever present, posting Mon, Wed, Fri to help meet your writing medical needs. The blog address is as follows: http://jordynredwood.blogspot.com/ but you can access it via the website as well. Just look at the top. There will be lots on the web site as well and I hope you'll spend some time perusing its features. Topics for writers and readers and a new blog as well. So many new things as I work to build my professional writing life. For those of you coming over from the WordServe Water Cooler-- welcome! Medical Question: Can my Rocker Perform? I have a couple of questions for you about a broken foot. In my WIP, my main male character broke his foot. About how long would it be before he could be up on stage in a rock concert? He's the lead guitarist of a Christian rock band and is quite active during the show (running around, etc). 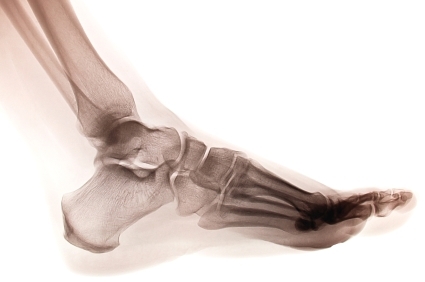 First, I'm assuming you mean a bone in the foot is actually broken and not the toe itself. I was actually able to run this by an ortho doc and these are his thoughts. Splint/crutches for one week with limited mobility. Then a walking boot for 4-6 weeks. He thought it would be hard for him to bear weight for the first two weeks so I think jumping around on stage would be problematic during that time frame. After the first two weeks, he should be able to walk and bear weight but jumping around may still be difficult. Probably could go either way. If he does choose to do a concert-- at least have the foot be painful during/after the performance.